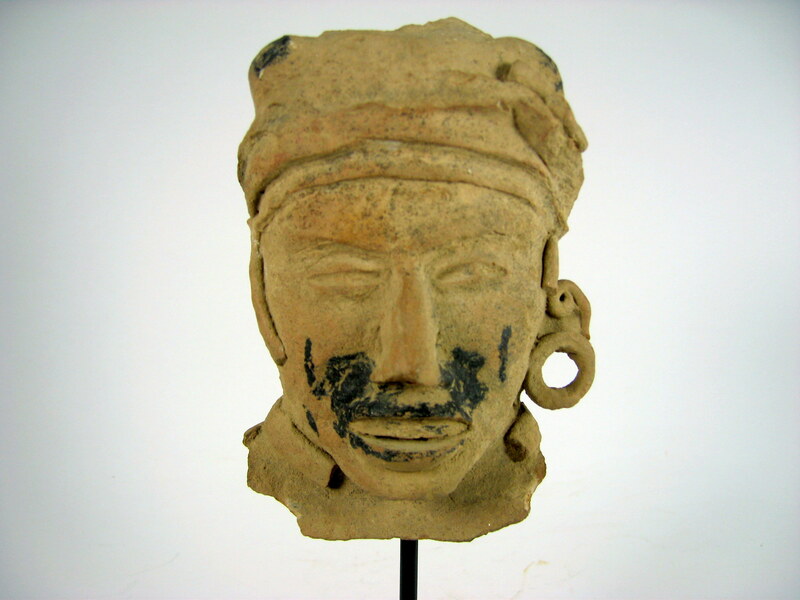 Pottery from an ancient culture brings interest and surprise to an environment. 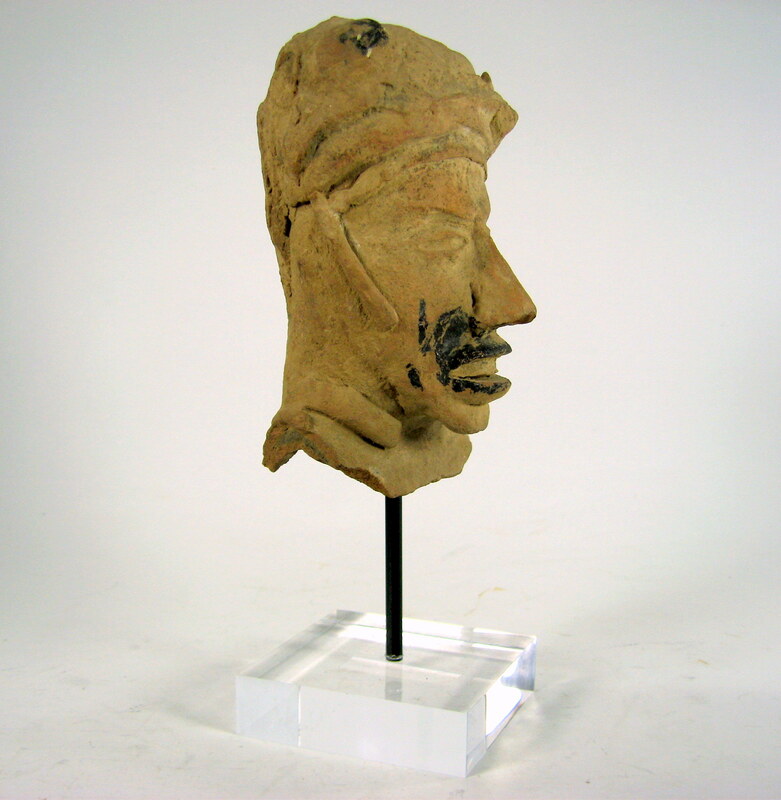 The traces of black pigment, resin and soot, are typical of this region. 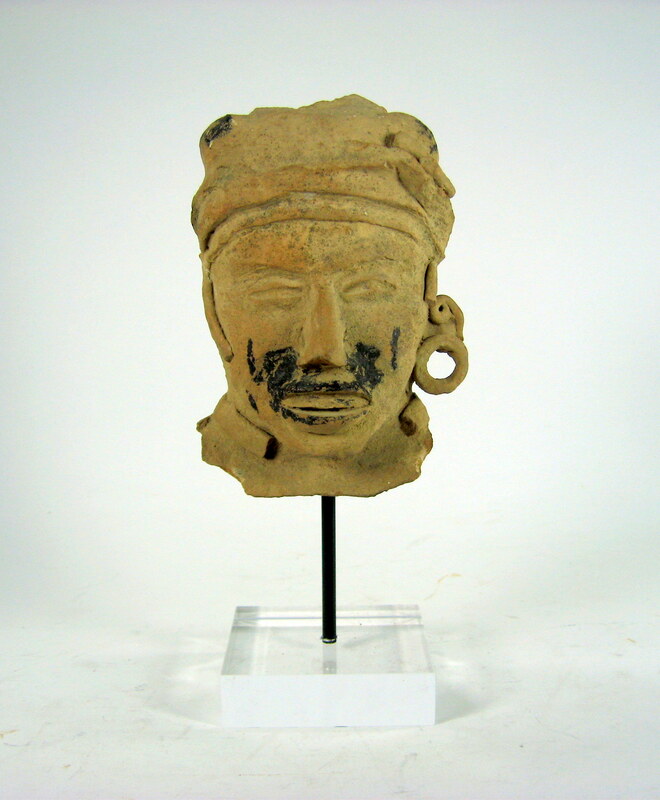 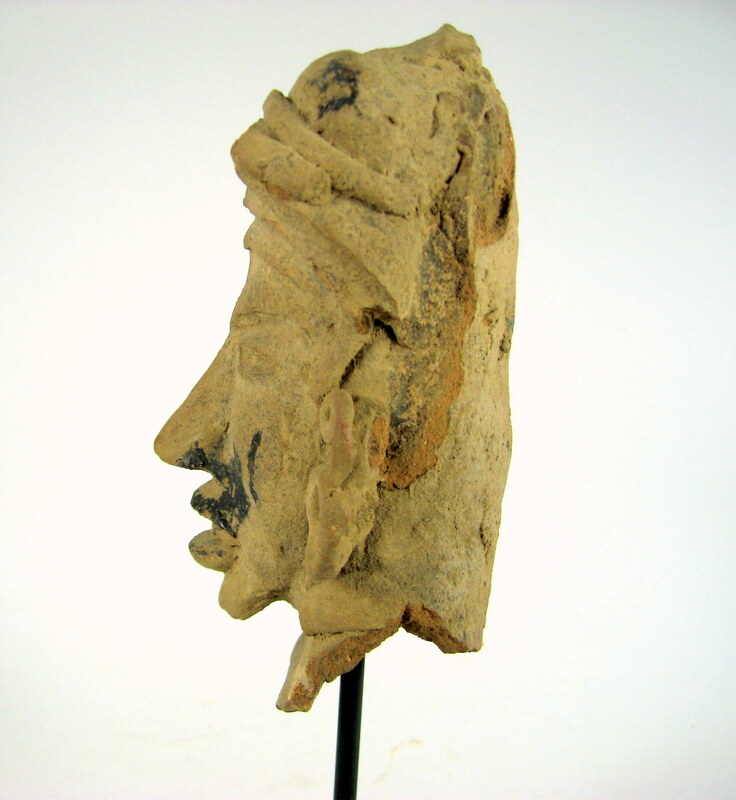 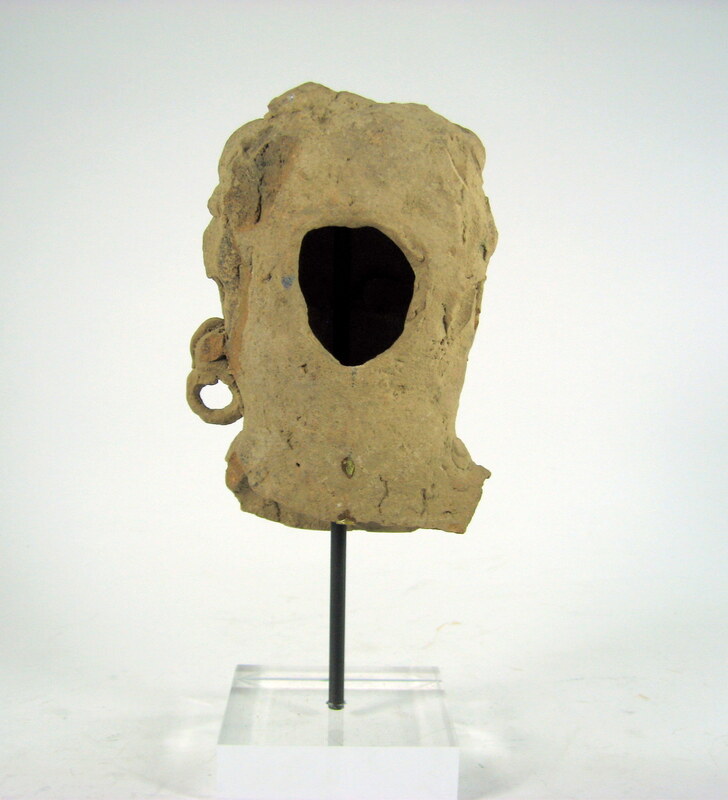 This large pottery head from The Americas is mounted on a custom stand for added presences. L 5" x D 3.5" x H 10.5"